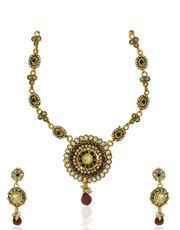 Perfectly design excellent purple colored necklace from Anuradha art jewellery. 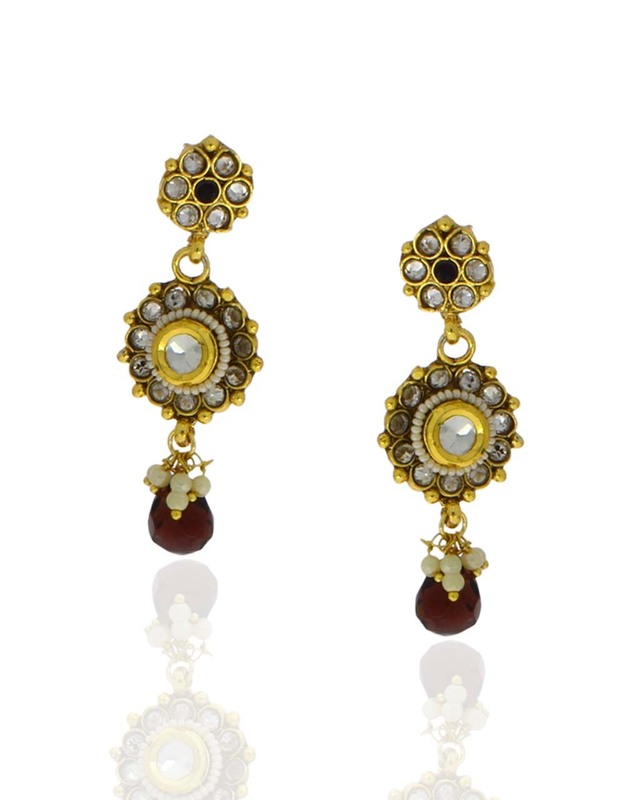 The hanging purple drop adds more appealing look to this set. It is fashioned from antique golden polished metal. 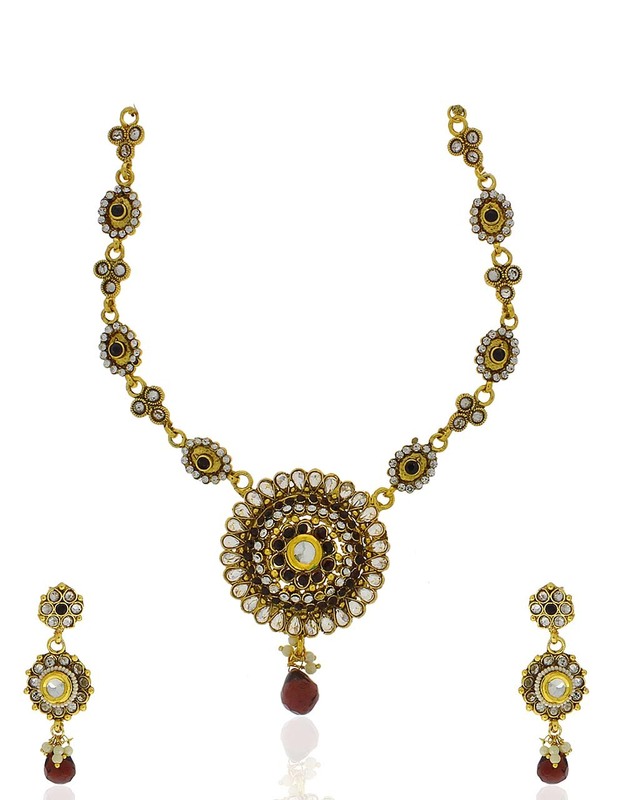 This set will add extra bling to your ethnic look.